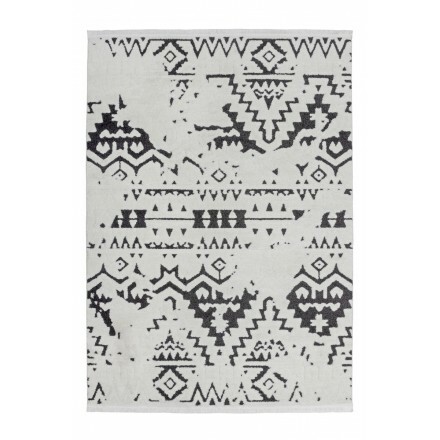 Bring originality to your interior with tribal rugs. They are easy to place in a room thanks to their exotic and chic style. Decorate your floor and sublimate your interior design with the ethnic carpets warm, natural colours. Imbued with the authenticity of the travel, indulge yourself with the exotic and the originality of this decorative object which will enhance the ambience of your home. More than a trend, the ethnic rugs come easily to our interiors. A touch of vintage and Bohemian, he tells a beautiful story, what makes it more original. His reasons but also its material play a decisive role. WHAT ARE THEIR CHARACTERISTICS AND WHO ARE THEY FOR ? Many styles of rugs exist, and no matter which seems to correspond you the most, rugs will always be essential in order to brighten up your living room. Find what kind of rug fits you depending on the atmosphere you would like to give to a room is the first step. Here are some tribal rugs’ characteristics on which you can rely in order to determine if tribal rugs are made for you. Tribal rugs are inspired by different cultures, travels, lifestyles different from ours and evoke in this way long-haul destinations. 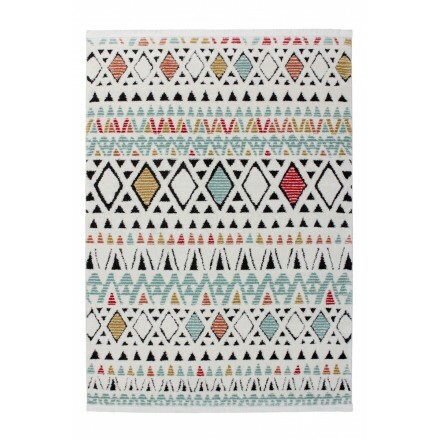 Tribal rugs are thus ideal for people who dream of traveling, opening to the world and bring from their travels memories that will stay anchored deep inside of them. WHAT PLACE FOR A TRIBAL RUG WITHIN A ROOM ? For what regards the place adapted for rugs within a room, some rules to respect exist in order to create harmony between the rug, the surface area and the other furniture. In a first place, it is better if the rug’s total surface is not superior to a quarter of the room’s size. However, it doesn’t really matter if it is a little bit larger because it will have the effect of “upsizing” the room which will look bigger. Depending on the size of the room, you should pay attention to the colours and size of your rug. If your room is a small one, you should avoid choosing a too large or dark rug. However, if your room is big enough, you can totally go for different sized rugs and even superimpose them. Rugs’ history is very old and present in an enormous variety of different cultures. They took multiple shapes during history and have been decorated with many patterns, sometimes standing for some important life messages. Still today, some cultures are trying to renew with this ancestral knowledge often transmitted from mother to daughter. Especially some particular villages are marked by an important tradition and are even today really famous for their rugs.Today, one of the most imitated and trendy rug is the Kilim. This tribal rug has its origin from different regions of the world, from the Balkans, crossing over Turkey to the Middle East. These rugs have been conceived in the same way and are thus all qualified of Kilim rugs. In the Turkish language, this name signifies “flatweave technique” since indeed, what characterizes Kilim rugs is a particular method called “flatweave”. They are thus not very thick and light and can be easily used as ornaments. -Kilim rugs have specific geometrical forms such as flower patterns or arabesques which are very seldom in other Kilims. -The Azilal rug is colourful and have vibrant shades of colours. -Two colours characterize the Beni Ourain rug: black and white. It is the most prestigious rug in Morocco. -The Boucherouite rug: this rug is characterized by many shades of natural colours. -The Pirot rug is originated from the Serbian town Pirot and is thus the most famous rug of Europe. Often colourful, it represents symbols with specific significations such as good health or love. The benefit of tribal rugs is that they can adapt to a majority of styles! Indeed, since different types of tribal rugs exist, it is easy to find one matching exactly the atmosphere and style you wish to create within your interior. Here are some examples of styles to fit your tribal rug to inspire you. By the way, don’t forget to let your imagination run free! 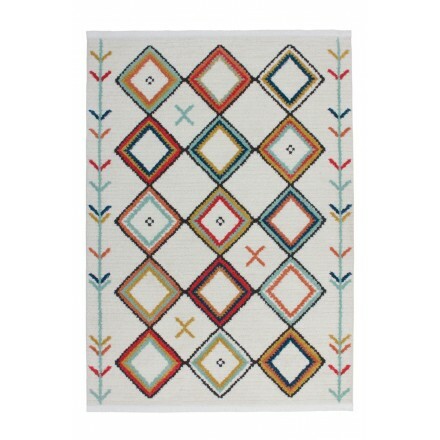 -The ethnic chic style: tribal rugs blend perfectly in this style. The latter is characterized by an authentic atmosphere and inspiration from all around the world. Furniture of raw material such as wood or rattan must be prioritized in addition to ethnic inspired decorative objects. However, the watchword of this style is simplicity. It is thus better to choose simple colours for your tribal rug if the rest of the decoration is more important and original. In the same way, you should choose a colourful tribal rug if the rest of the room is simple. -The bohemian style: the latter has its origin in the hippie movement from the 1960-1970 years inspired by the will of freedom, recklessness but especially by the nomads’, wanderers’ and gypsies’ life characterized by this hostility of western society. This is the reason why bohemian style gather oriental influences fed through a mix of patterns, colours and objects. But also by a set of original furniture coming from all walks of life such as curtains, bean bag chairs, garlands, all of these participating to give a nomad and patchwork effect to a room. The superimposition of tribal rugs is here a great idea, colourful or simple they are perfectly adapted to bohemian style.